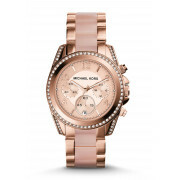 Be dazzled with this Blair watch in rose gold from Michael Kors. 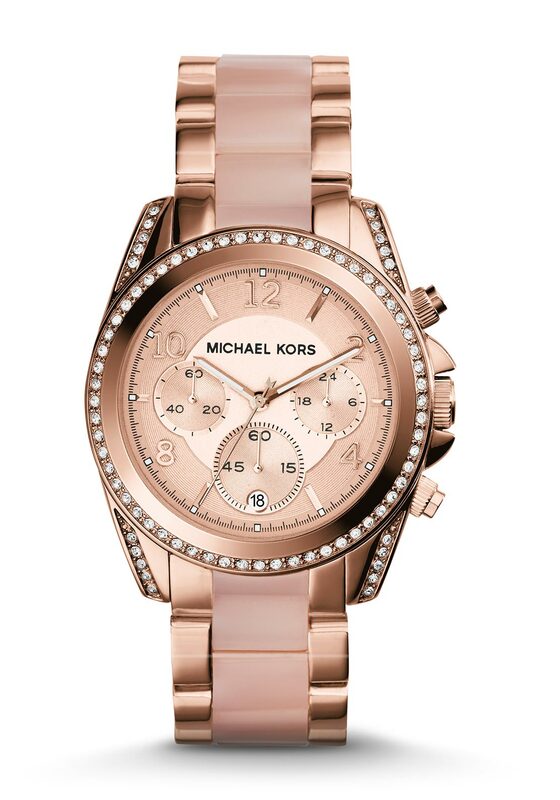 It has sparkling pave stones encrusted on the bezel and the bracelet is rose gold and smooth acetate themed. The dial features rose gold hour markers, three sub dials, and split second hand and date window. Team this with other rose gold accessories and a black dress for a chic look.